See How To Check UNIPORT Direct Entry Admission List | University of Port Harcourt, UNIPORT direct entry admission list (first batch and second batch) for the 2018/2019 academic session. The authority of the University of Port Harcourt (UNIPORT) has released the Direct Entry (DE) admission list for the 2018/2019 academic session. See also: UNIPORT UTME Admission List for 2018/2019 Academic Session. UNIPORT Direct Entry Admission List. UNIPORT Direct Entry 2nd Admission List. 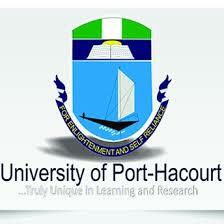 UNIPORT direct entry 2nd batch admission list has been successfully uploaded online. Follow the link below to access your admission status. UNIPORT Direct Entry 1st Admission List. UNIPORT direct entry merit admission list has been successfully uploaded online. Follow the link below to access your admission status. Candidates seeking admission in the 2018/2019 academic session should login to the JAMB website, click on CAPS to check their admission status, and click on accept/reject button to either accept or reject the offer. Those offered provisional Admission should proceed with the Acceptance and Registration processes. The procedure is on the University website.